Radiographic Film Distributors, Inc. has been serving the South Florida Healthcare market with dependable services, the best products in the industry, and the knowledge gained from more than 25 years in the business. 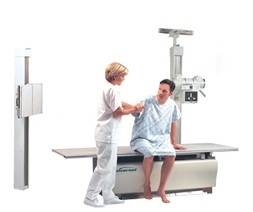 We offer the latest in Digital Imaging systems, as well as legacy X-Ray film processors and equipment. We maintain, service, and support all of your X-Ray imaging needs. Providing scheduled services, preventative maintenance, X-Ray film, and all related X-Ray supplies and accessories. We represent some of the most prominent names in the industry, including Agfa, Carestream (Kodak) and Konica Minolta. We offer competitive pricing, along with fast and comprehensive service. Our Service team will be there to support your scheduled services, and any emergency that could potentially impact your business. Consider us part of your team! Whether you have been in the business for many years, or just starting up, you can count on us to provide fast, courteous, and reliable services today, and in the years to come. Let us help in lowering your cost of doing business, improving productivity, and maintaining your high level of quality.